Jamal Murray may have failed to become the fifth player to hit the 50-point mark in this young NBA season (after Klay Thompson, Stephen Curry, Derrick Rose and Blake Griffin), but his game has proven to be the most controversial. On Tuesday, the Denver Nuggets guard rained down 48 arrows (19-30 shooting, 5 rebounds, 4 assists) on the Boston Celtics, including 19 in the fourth quarter, to carry his team to a 115-107 win and their best start since 1976 (9-1 overall, 6-0 at home). Murray was simply on fire that night, torching the second-best defense (100.8 rating) in the league. 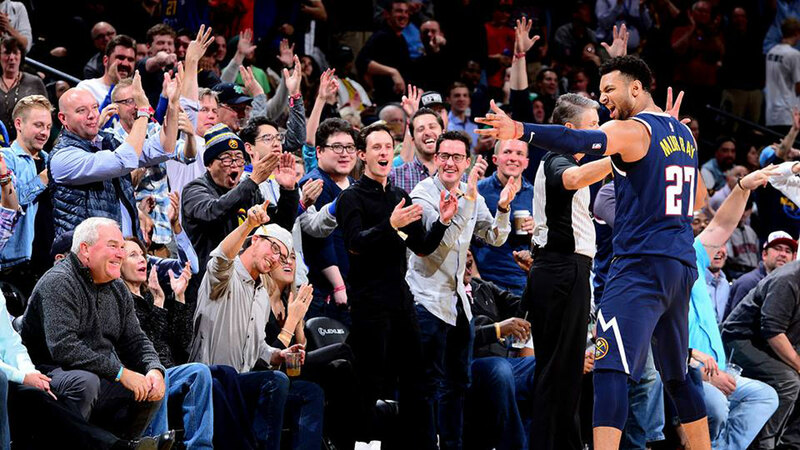 Things got complicated when he decided to go for the half-century and took a deep three-pointer in the waning seconds, with the Nuggets having already sealed the deal. In basketball, you can't just do something like that. Perhaps because the "Blue Arrow" has a history of such episodes—just ask Lonzo Ball—that Boston's Kyrie Irving (31 pts, 13-17 fg) wasn't having it. Irving, who got fined $25,000 for throwing the basketball into the crowd, told ESPN, "What kind of competitor wouldn't it bother? I was (mad), but we're not going to make a big thing about it. But congratulations to him on 48 points. He did it in great fashion." For his part, Murray asserted, "My emotion took over as it normally does when I get going like that." Jalen Rose, whose Toronto Raptors got cooked by Kobe Bryant with 81, on Get Up! : "If you don't want a guy to get 50, don't allow him to get 48... I would know." Stephen A. Smith on First Take: "I love that Kyrie did it. You know why? Because the Boston Celtics need to wake up." Shannon Sharpe on UNDISPUTED: "Kyrie is mad at the last 4 seconds of the game in which Jamal Murray attempted a three, but what about getting cooked for 48? Jamal Murray was looking like Jordan, Kobe; he was shooting like Steph Curry, Klay Thompson." Grant Hill on The Starters: "I mean, look, you play to the end. I know you don't want somebody to get 50 on you, but guard him the other 48 points during the game, prevent that from happening."